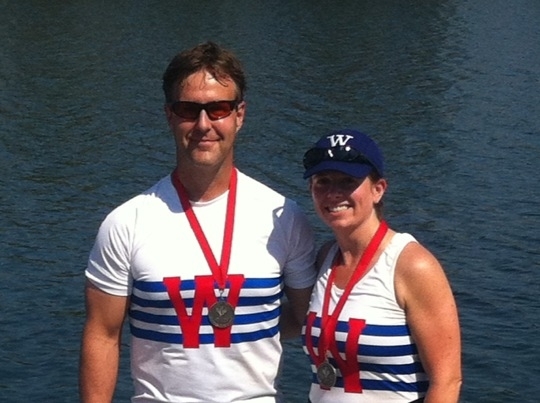 WRC Master rowers Sheila Wilson-Kowal and Tracy Kowal picked up some hardware at the Canadian Masters Rowing Championships this past weekend in Montreal. Sheila was a multiple medal winner with a bronze in the Master Women’s A 1x, then teamed up with husband Tracy to win the silver in the Mixed 2x B category. Congrats on a great showing!